White acrylic cloud fixture with regressed metal frame. Twist-on diffuser for easy access to install or replace light bulb. This fixture uses an energy saving fluorescent light source. Suitable for indoor or outdoor use (ceiling mount only). 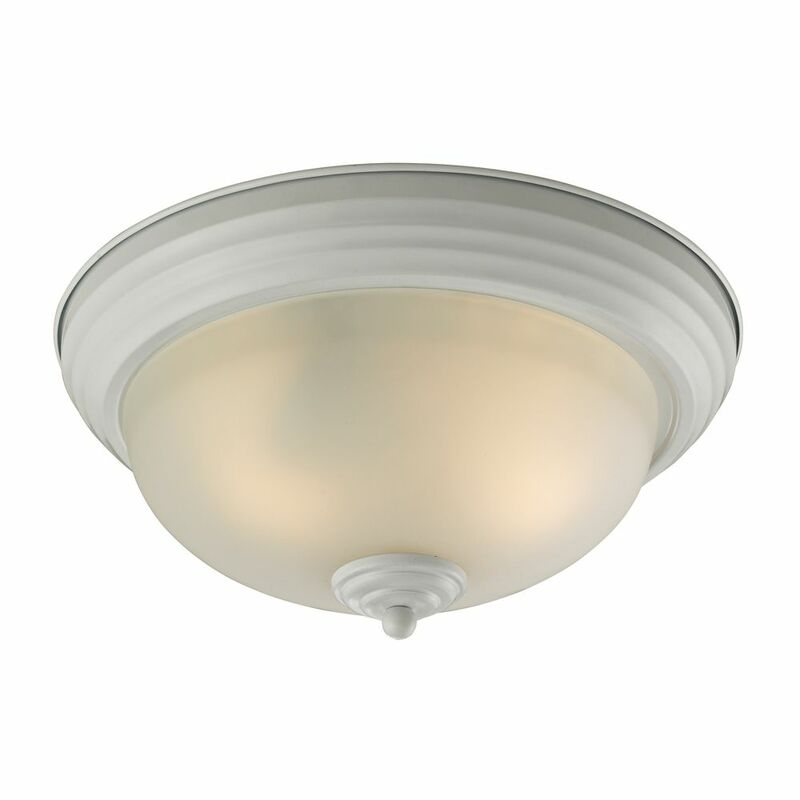 3 Light Flush Mount In White This classic flush mount is designed to fit into any dicor. Features a white finish and etched glass.